Gardaí are appealing for witnesses. GARDAÍ IN CORK are appealing for witnesses after a motorcyclist in his 40s was injured during a collision in Cork. 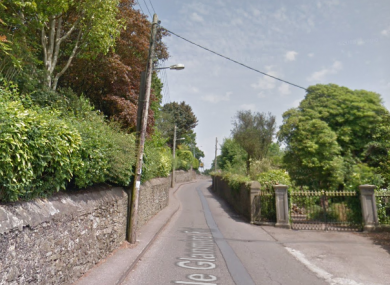 The incident happened on the Middle Glanmire Road on Friday at around 5pm. The motorcyclist, a man in his 40s, was seen by paramedics and fire services and taken by ambulance to Cork University Hospital. His injuries are understood to be serious but not thought to be life threatening. A 28-year-old man, who is understood to be the driver of the car, was apprehended a short distance from the crash site and arrested for driving under the influence. He was taken to the Bridewell Garda Station and has since been released without charge. Investigating gardaí have appealed for witnesses to the incident to come forward, particularly anyone who was driving along the route at the time who may have dash cam footage. Anyone with information is asked to contact Mayfield Garda Station 021 4558510 or the Garda Confidential Line 1800 666 111. Email “Man in his 20s arrested after motorcyclist injured in Cork collision”. Feedback on “Man in his 20s arrested after motorcyclist injured in Cork collision”.